Your mother always told you to stand up straight – and she was right! Good posture is VERY important. It is good for your health, your mood, and even how you are perceived by others. Good posture can help you stave off age related conditions and allow your vital organs plenty of room to do their job correctly. Sometimes things can happen that impact your posture. Maybe you sustain an injury and your body compensates by listing to one side or you hunch over in an effort to relieve the pain. Other times you may slouch in an effort to make yourself less-visible in a crowd. Then there are those who just don’t give good posture its due and slouch because they simply don’t feel like standing up straight. Whatever the case, poor posture can lead to back pain, headaches, increased risk of injury, decreased flexibility, and diminished mobility. It can actually cause you to age much faster. (what?!) The good news is, in most cases even those with very poor posture can turn it around and stand a little taller. Gentle Chiropractic care has shown to help many people regain their youthful, straight, healthy posture that they’ve lost. When you first visit your Overland Park Chiropractor, he or she will sit down with you and discuss the problems you are having, what your complaints are, when the problem started, and events that may have contributed to the problem. They will take a thorough medical history and observe the way you sit, walk, bend, and move. Your Overland Park Chiropractor may request x-rays and will assess the alignment of your spine. You may also be asked to have neurological or orthopedic testing done to ensure that there is no underlying condition or injury that is causing your problem. 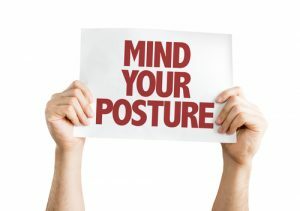 You will be asked to stand straight and the doctor will take measurements to determine if there is any visible deviation from your optimum posture. He or she will ask you to move and bend while they test your range of motion, mobility, and flexibility as well as your muscle strength and length. Once your assessments are complete, your Overland Park Chiropractor will discuss treatment options with you. He or she will walk you through the adjustments that will be done and other types of therapies they recommend. You will talk about the best course of action to relieve any pain that you are experiencing as well as get your spine back into alignment and improve your posture.